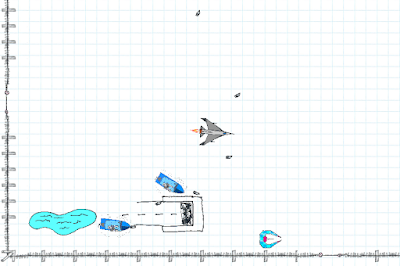 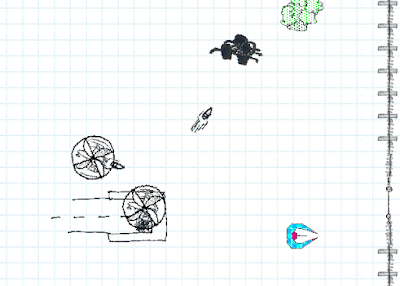 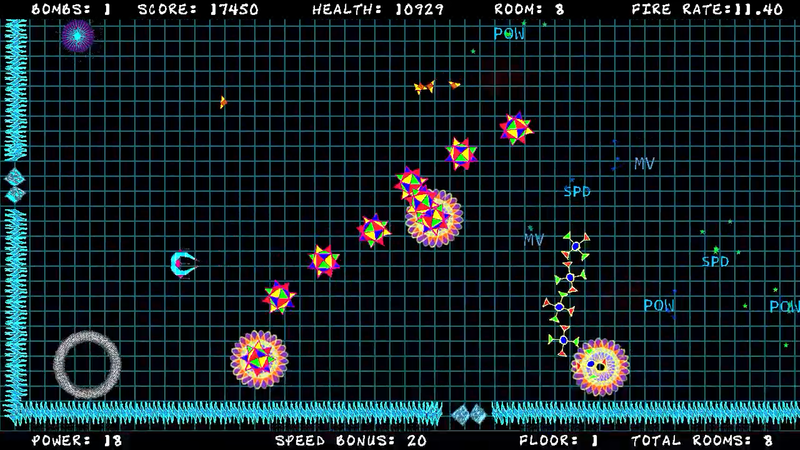 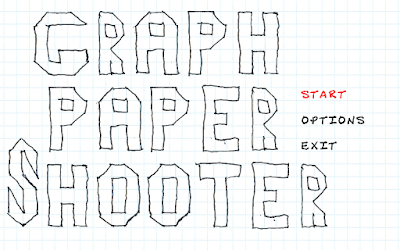 Graph Paper Shooter is a procedurally generated twin stick shooter comprised of artwork inspired by the stuff I drew in my high school notebooks decades ago. 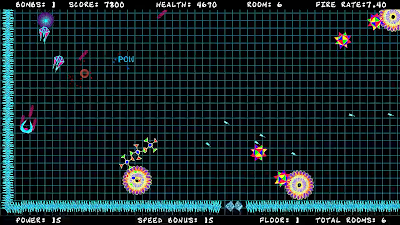 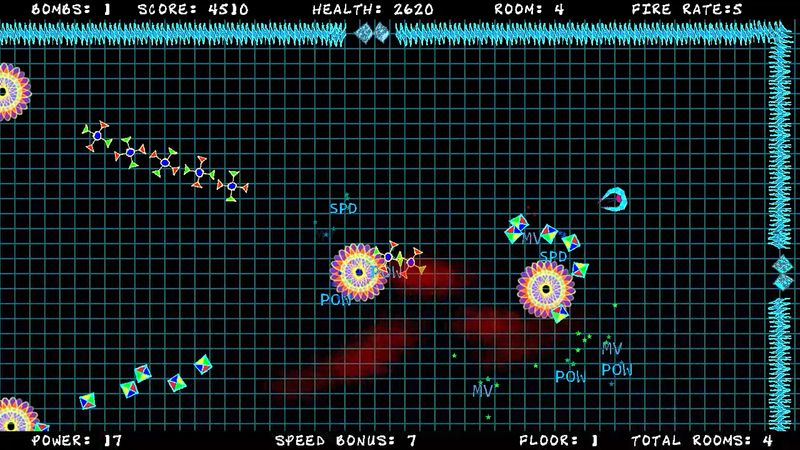 Boss Fights with bullet-hell rage modes! Geometry Wars inspired "Polygon Wars"
Gimme something to write on, man. 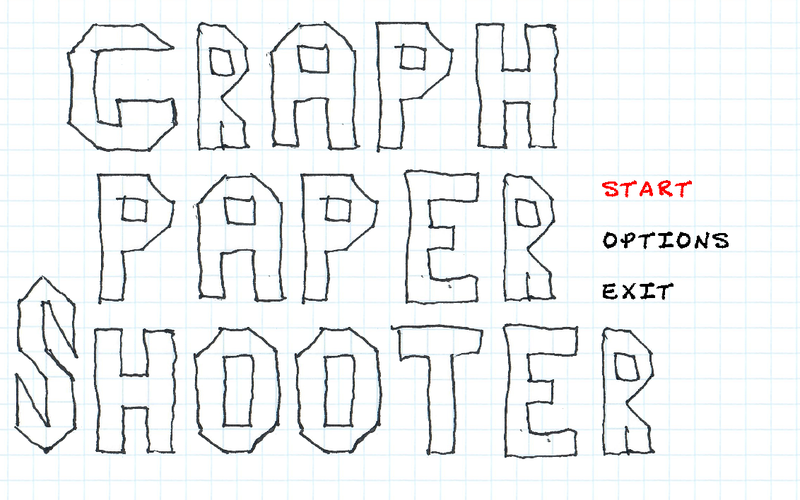 He brought extra pencils, in case you forgot yours. 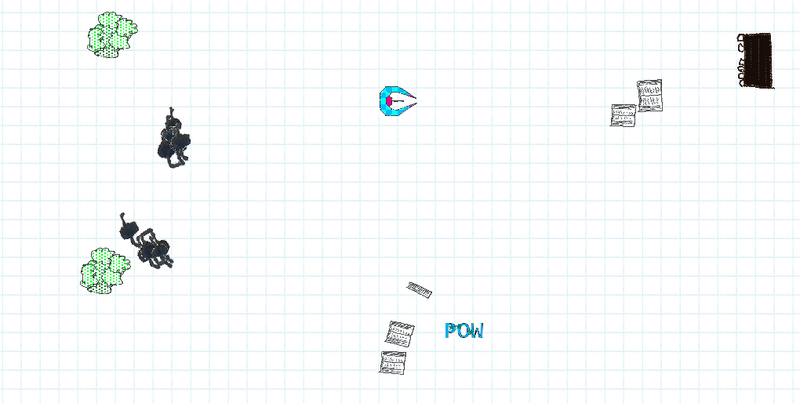 Bombs to exploderate your enemies!